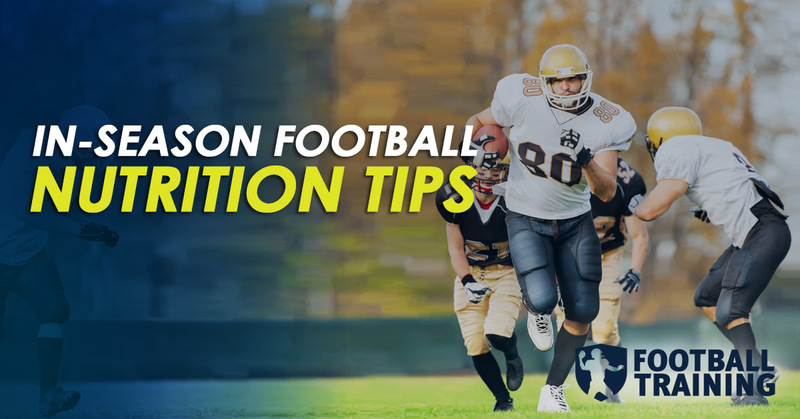 If you’re looking for football training tips and workout programs you have come to the right place. Here at FootballTraining.com we are dedicated to becoming the number one resource guide online for American football players looking to improve their game through training. Everybody knows that football players need to be big, strong, and fast to dominate on the field and our goal is to help you improve in all three areas at the same time. We will have weekly football training tip articles and videos posted, along with full workouts and workout programs to help your speed, power, agility, and strength, so you get noticed on the field. 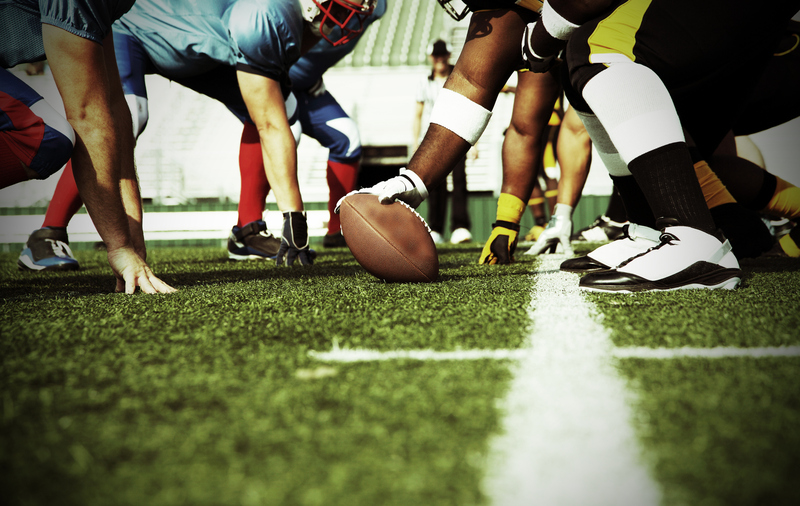 We have worked with pro football players, including a Super Bowl champion – so we know what it takes to become the best player on the field. If you’re dedicated to your training we are confident you will become the best player on the field at whatever level football you are playing. Our first article published here is the Importance of Nutrition For Football Players. 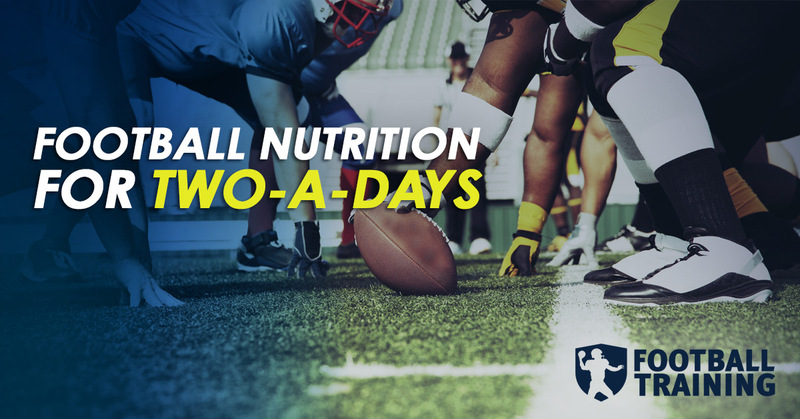 A large majority of our content will be football training and workout related, but if you a football player’s nutrition isn’t down properly they aren’t going to perform. That’s why we will always put a good emphasis on proper nutrition for our football athletes as well. To be the best possible football player you can be, it takes much more than just going to the gym and performing the exercises your most comfortable with. This attempt at *trying* to get a little better each and every week is admirable, but misguided. Don’t get me wrong, this isn’t a bad start. In fact, that’s where almost everybody starts—including myself. In the beginning, you just simply don’t know what you don’t know. There is a big difference between exercising, and training. Exercising is simply being physically active. You’re going to the gym, or going outside and burning calories. Training, on the other hand, is utilizing the training principles that are deeply woven into the science of program design and coordinating both a program and a progressively difficult training schedule in order to attain a specific goal for football performance. This is exactly how you need to approach your football training. To get the best possible results, you can’t fly blind. My pursuit of having the ultimate understanding of physical performance has both literally and figuratively brought me all around the world. On this journey, I’ve spent an unbelievable amount of money studying the philosophy and methodology of many different countries and have tried to understand how they define human performance and how they go about maximizing it through sport specific training. When you’re traveling and involved in education programs all over the world, you quickly see the major differences between the western and eastern approaches. In the western world, much of our weight training ideologies and philosophies are born out of bodybuilding methods that place a huge premium on muscular development at all costs. Whereas eastern nations care very little about how big one’s biceps are, and focused exclusively the performance results in competition. Period. I think in many cases, the international platform of competition served as a major platform for eastern countries to assert their superiority and stand very proud of their massively sponsored athletic development systems. This represents a real pride in their nations, sports are seen as much more than simply winning or losing—or, a TV event that comes on every 4 years that we can tune in to if we feel like it. No, they see huge pride and tie it all the way up into how a politician may position their next speech. No. Those do not exist, and you have no time to be wasting time using quick-fix training methods or totally unsubstantiated program design protocols that have no basis within the scientific literature on sports training. Offering a system like this would discredit the pioneers I have learned from, and would also fail to represent what real football-specific training needs to look like. I have worked with many college and NFL athletes, some of whom have also earned Super Bowl rings on my watch—so I know my way around what it takes to reach the highest pinnacle of performance in this sport. Always remember, we are in the gym to become better football players, not better weightlifters. A lot of high school strength and conditioning coaches can really mess this up. Always thinking that bigger is better, and putting you on nutrition guidelines that border on the ridiculous. Yes, of course, size is important, but it is a far cry from a complete approach to football performance. On this page and in my programs, you’re going to gain access to the insight of what strength and conditioning really is for football athletes, the role that both weightlifting and nutrition play in football performance, how the varying training methods should be coordinated together to achieve maximum success, and which specific training methods are the most effective use of your time. Whatever your goals are in this sport, it’s important to never waste your time, money, and effort on methods that aren’t the best for you. Understanding the principles of sports science training and nutrition will guide you to knowing when to use each method at the right time. This is my aim here, to take a scientific approach to your development and use my experience to create the best possible training programs, videos, and blogs for you. Getting back to where most high-school kids start, you can’t just train like a bodybuilder. Unfortunately, many people associate the act of weight training as bodybuilding. If you talk to the average person on the street, they’ll typically just flex their biceps in a bodybuilding pose if you ask them about weight lifting. That’s not to discredit bodybuilding, they are in large part how weightlifting got to where it is today. They were pumping iron over 100 years ago using whatever tools they had. Having said that, their principles are very different than yours. It’s important to understand that just because you have big muscles, it doesn’t mean they can perform in the sport of football optimally. Building muscles that can perform should be your #1 priority in the gym. Football is not about being jacked, it’s about being a great football player. Not only does football separate itself from what strength qualities, energy systems, and capacities are required for optimal performance—but each position separates themselves from each other as well. A wide receiver should have a training plan that looks completely different from your O-line. Everything down to the mobility routine, the conditioning program, the strength work, the skill work, etc. It should all be different because they are different athletes with unique demands in order to dominate in their position. Football specific training should encompass increasing your football performance, training like a bodybuilder doesn’t do this. Using some bodybuilding movements can, at times, but the overall philosophy of a football performance program is incredibly different than a bodybuilding plan. To put it short, if you have a “chest day”, it’s probably time to rethink your programming. This means that there is no single training approach or protein shake that is going to bring you up to the next level. A well rounded, scientifically sound meal plan combined with a training system that is built with the intention of elevating your performance from all angles is a must and this requires a dive into being a real athlete. 24hrs a day. Not just before and after games. Lastly, it’s important to make a clear note on career longevity in the sport of football. The longevity of a football athlete operating at peak performance can be a pretty slim duration. Using the proper training and nutrition methods as a means to improve your health bio-markers, improve the rate and quality at which you recover from injuries, improve your sleep quality, and properly fuel you for performance sets up all the groundwork necessary for ensuring you have a long, successful career. At the end of the day, if you want to be a football player you have to start training like one. Doing a workout from a magazine, copying a workout from a pro football player, or just doing what everyone else is doing in the gym is not the right approach for you. You are a unique athlete in a unique position that requires a unique approach to your training. Football training is different than just training. Let’s get to work.